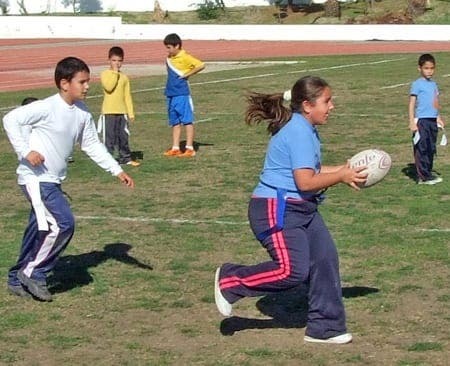 ON Saturday 26th November, Axarquia Rugby Club in Velez-Malaga welcomed over 30 boys and girls from the ages of 5-11 for an introductory 90 minute training session in the game of Tag Rugby. Specially designed to introduce youngsters to the game, Tag Rugby is non-contact rugby which teaches the children mobility, agility, passing skills and teamwork without the risk of any injury. 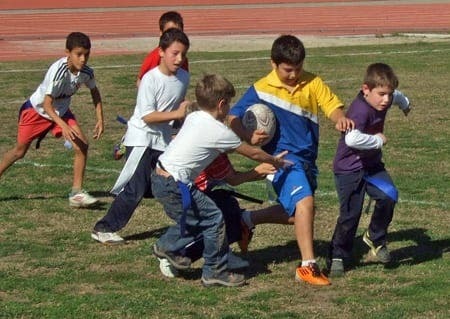 Each player wears a “tag” on their shorts and the object of the defending side is to pull the tag off the shorts and this constitutes a “tackle” and the player then has to pass or release the ball. Scoring a try is the same, by putting the ball down over the try line. The game is played with both boys and girls and is fast and great fun. Even professional sides now use Tag rugby as a coaching tool for passing, movement, set-plays and to ensure that there is no risk of any injuries prior to matches. 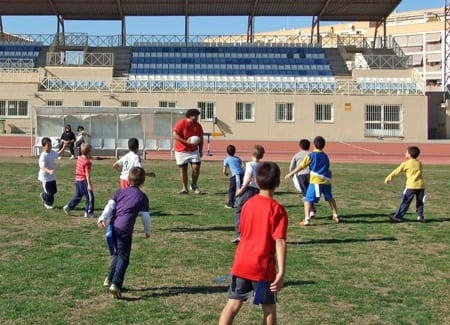 The coaching staff from the Axarquia Rugby Junior Squad, as well as senior 1st team players and U17 Colts, all turned out to help organize practice routines and mini-games. Parents and families all turned up to watch and encourage, and everyone enjoyed the experience. 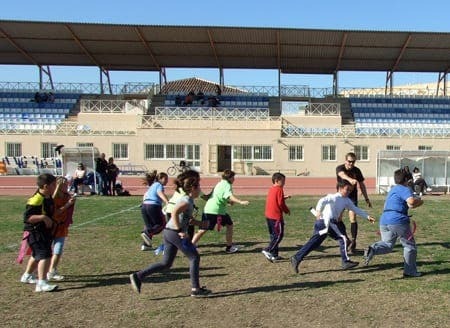 As a result of the success of the first two sessions, the town hall has now agreed to allow the Saturday morning lessons to continue at the Fernando Hierro stadium in Velez-Malaga, so that the club can start building the foundations for a long and successful future. The club would like to encourage boys and girls of all ages to come along and have a go – there will be training every Saturday for 5-13 year old children from 12.00 onwards. For more information on joining Axarquia Rugby Club or if you would like to sponsor the Axarquia teams, please ring Michael on 669 899 064 or 952 514 898. 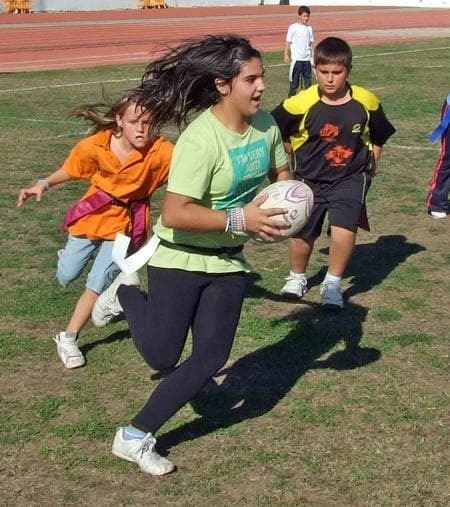 Training for Axarquia Rugby Club is held at the Fernando Hierro Stadium in Velez-Malaga every Tuesday and Thursday from 19.00 for the juniors and 20.30 for the seniors (all age groups welcome). Axarquia Rugby Club play at the Fernando Hierro Stadium in Velez-Malaga. Training is every Tuesday and Thursday - 19.00 for the Juniors and 20.30 for the seniors. Contact Michael Reeve on 669899064 for details on joining the club or forthcoming fixtures.